By Acqullia Bailey, Quilla's Catering, Inc.
Did you know that ginger is used medicinally? Did you know that Ginger is used as an APHRODISIAC? Cut chicken into 8 pieces, juice limes in water, wash chicken and pat dry. Season chicken with season salt, black pepper, garlic powder, onion powder. Use shallow baking dish and bake chicken at 375 degrees F. until done. Heat pan, melt butter or margarine and sauté onion, garlic, green pepper and grated ginger (mix). Add orange juice, gourmet sauce and heat through. Add sweet-n-sour sauce and let reduce -- consistency should be smooth. Remove chicken to platter and arrange sliced orange as garnish. Serve with your favorite rice and salad. When you mention GINGER, so many wonderful things come to mind. One of the most popular of the hot-tasting spices is GINGER ROOT . Though called a root, it is actually the rhizome of the monocotyledonous perennial plant Zingiber officinale . The ginger plant seems to originate in Southern China. It later spread to the Spice Islands and other parts of Asia, and subsequently to West Africa ( whose ginger is rather pungent, but lacks the fine aroma of other provenances), then to Brazil and Jamaica , where the most expensive and highest quality is grown. India is now the main producer and exports 50% of the world's harvest. Ginger root is used extensively as a spice in many if not most cuisines of the world--Caribbean cuisine being no exception. China produces a ginger that is particularly suited for confectionery, whereas Japanese ginger lacks the typical aroma. They are often pickled in vinegar or sherry. Pickled ginger (gari or sushoga) is always used as a condiment for sushi. 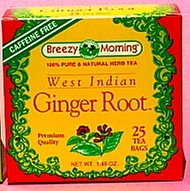 Jamaican ginger is usually known for its beverages and is a spicy addition to many dishes. Western cuisine traditionally uses ginger for sweet foods such as gingerbread and ginger snaps. Powdered dry ginger tastes different from fresh ginger, and neither can be substituted for the other. Overall, ginger products vary considerably in taste, pungency and smell, while the root varies in consistency, depending on the country of origin and the variety of the crop. Extracts of ginger are used in meat, poultry, fish, vegetables, condiments, baked confections, candies, beverages, cosmetics and perfumes. Young ginger roots are juicy and fleshy with a very mild taste. Mature ginger roots are fibrous and nearly dry. The juice from old ginger roots is extremely potent. It is common to find it in many supermarkets for use in food preparation or as an herbal medicine. Medical research has shown that ginger root is an effective treatment for nausea caused by motion sickness, or other illnesses. Although very effective against all forms of nausea, some health officials do not recommend taking ginger root for morning sickness commonly associated with pregnancy. Ginger root also contains many antioxidants. Powdered dried ginger root is made into pills for medicinal use. Ginger ale, ginger beer and ginger tea have been recommended as stomach settlers for generations in countries where these beverages are made. In the past, ginger water was commonly used in the United States to avoid heat cramps. Can't seem to get it right? ASK QUILLA! Your Q&A may be published on this site. Over the years, Ginger has offered the luxury of intriguing tastes, impressive incenses and delightful perfumes, and, as tools of the rich, it has always been included in recipes for improving sexual potency. More recently, Ginger and other herbs are utilized creatively in the preparation of the fragrant components of scents, perfumes, cosmetics, body creams and lotions, hair preparations, air fresheners, massage oils and in incenses that are popularly utilized to improve sensations as a new-old form of therapy, with the modern title of aroma therapy. Ginger root thus spans the continuum between foods, medicines and exotica, and therefore it rightly earns its place in the spice section in markets, or in bathroom cabinets at home. Shouldn't it find a place in your Caribbean cuisine? 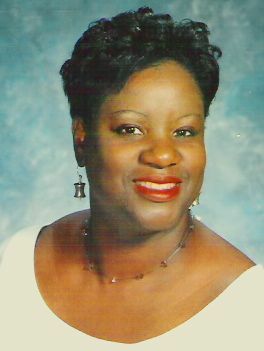 Acqullia A. Bailey is founder and president of Quilla's Catering, Inc. She is a graduate of The New York Restaurant School. Quilla's Catering, Inc. has provided craft services for the "Damon Wayans HBO Special" and was featured on FOX TV's Good Day New York's "Women Who Work From Home." In 2002, Quilla's Catering hosted a lavish "Culinary Sampling Presentation," which highlighted the company's knack for decorating flare, and featured many of its delightful menu items.